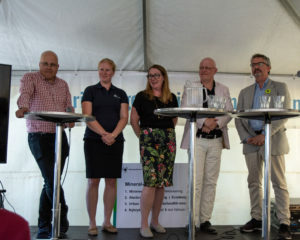 SIP STRIM participated in this years Almedalen week to talk about mining, sustainable raw materials production and green transformation. 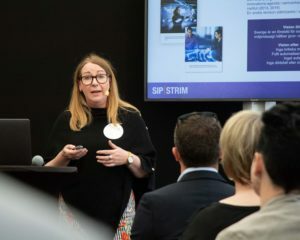 On Tuesday, Programme director Anna Utsi participated in “Mineralriket”, a seminar about Swedish mining industry, social development and a sustainable world. 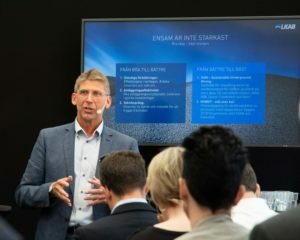 Other participants were Jan Moström, CEO LKAB, Malin Strand, Project leader Fossilfritt Sverige, Pär Weihed, professor and pro-prinicipal Luleå University of Technology and Mårten Görnerup, CEO Hybrit. On Wednesday, SIP STRIM together with SGU arranged a seminar with the theme ”How do we succeed with a green transformation in the mining and metal industry”. 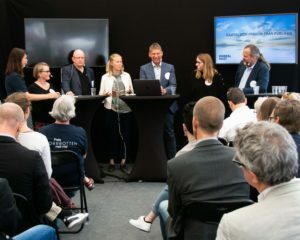 Participants were Mikael Staffas, CEO Boliden, Jonas Rudberg, specialist Naturskyddsföreningen, Anna Utsi, Programme director SIP STRIM and Therese Bejgarn, research strategy SGU. The discussion focused on the need of innovation critical metals to meet the climat challenges and reach a green transformation, and how Swedish innovation capacity can contribute to the achievement of high environmental objectives.